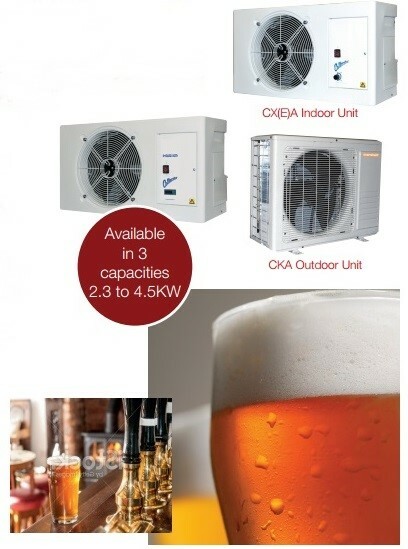 THE INNOVATIVE CX(E) CELLARATOR SPLIT SYSTEM IS DESIGNED TO HELP THE LICENSED TRADE MAINTAIN A COOLED ENVIRONMENT MORE EFFECTIVELY THAN EVER BEFORE. With its revolutionary one piece moulded body, impregnated with an anti-bacterial additive, the CX(E) cellar cooling systems are the ideal choice for food / beverage storage areas, food preparation areas and any area that requires controlled temperatures down to 4°C. 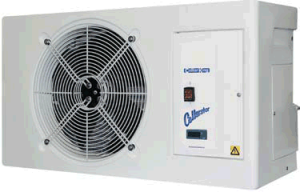 The Cellarator provides consistent temperature control with economy, ease of maintenance, flexible positioning, hygiene, safety and reliability.